The tailed beasts (尾獣, bijū), sometimes referred to as "Chakra Monsters" (チャクラのバケモノ, Chakura no Bakemono), are the nine titanic living forms of chakra created by some unknown force or factor. Until this shinobi era, these creatures were unknown, that was until a catastrophic event publicized the entities that would soon to become feared for their bestial natures and terrifying powers. So much is unknown about these creatures except their terrifying strength and voracious appetite for destruction. To those whom survive their seeming wanton destruction, the beasts seem less intelligent and more bestial. Due to their natures, they are believed to be beyond communication, though their overwhelming chakra hangs as a reward worth the risk for each village. Seeing as the Bijuu are new to the shinobi world, so little is known about them IC. Below are the things embers will need to know in order to RP them correctly if ever given the opportunity. First: Bijuu are beings of chakra- unimaginable sources of chakra, given tangible form and sentience. Second: Each bijuu has their own unique personality akin to the carnal sins of humanity. While it IS possible to befriend or tame a Bijuu, it would be quite difficult to say the least. If your character's personality is the polar opposite of the Bijuu in question, then thread requirements are doubled. Third: Knowledge of and about the Bijuu are not easily obtainable. Just seeing one or hearing rumors about them is not enough to help you know their abilities or how to beat/befriend them. Fourth: Bijuu can only be sealed inside large scrolls or humans through the means of an S Rank Fuinjutsu seal specifically designed to store such a creature. In addition, they cannot be sealed outright- as they are mighty beings, their chakra must be reduced by 50% before anyone may seal them. Alternatively, two+ shinobi with S Rank+ Fuinjutsu seals specifically designed to store them, may cooperatively seal them at 75% chakra. Fifth: All 9 Bijuu are roughly equal in terms of strength, and thus: have no differentiating number of tails. Bijuu are mighty creatures, far stronger than the canon was shown to have. They will not be down-played here. If you face off against a Bijuu, accept there is a high possibility your character may die. 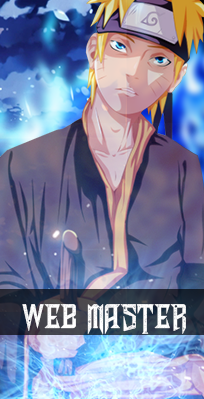 Sixth: IF you get lucky enough to become a Jinchuriki, you are obligated to RP your character consistently. Absence or simply not posting for one whole month without pre-explained and legitimate reasons- will result in your character dying & the Bijuu going back to the wilds. Eighth: Bijuu have a static chakra stat of 4,000. This cannot be increased or decreased in any way. Nineth: Jinchriki get perks based off their respective Bijuu, including their innate ability, along with a stat boost of sorts. These stat boosts and innate ability come along by stages of training. If you have become lucky enough to become a Jinchuriki, congrats! There is a long road ahead of you however(So don't slack off or else you might find yourself dead.) In order to properly master a Bijuu. there are several steps. Mind you, these steps are the common method for mastering a Bijuu. For character story-sake, you can master a Bijuu through force if you are strong enough. I will explain this later. Stage #1 The first stage is pre-described in each Bijuu description. Different Bijuu have varying amounts of thread/post requirements. These are the minimum requirements, additional threads/posts may be required depending on how different your character's personality is compared to that of the Bijuu's sinful nature. Example. If you are a happy cheerful shinobi & you magically become the Jinchuriki of Wrath, then if will take twice the required amount of thread/posts to befriend him. In addition, if you try to forcefully tame such a creature, it will double the thread/post requirements again(4x). 8/9 times, forcefully taming a Bijuu will be quite the polar opposite of the Bijuu, which means you'll have quadruple thread/post requirements to subdue the beast. Simply subduing the beast isn't as simple as it sounds. The shinobi must have ample strength to resist the powerful chakra of the Bijuu. Seeing as Bijuu are sealed and confined, they are only ever able to release a portion of their power from within: as such, the host only needs 1,000 chakra stat to subdue a sealed Bijuu. Subduing a Bijuu has similar stages of 1-3, except the thread/post count is 4x required. The host also unlocks the Bijuu's innate ability to use as their own. Also allows the Bijuu to break the host out of Genjutsu akin to Genjutsu Kai. Stage #2 Stage two is a bit more tricky and risky. Befriending the Bijuu is no small task, however: learning to tap into their chakra and control it without being overcome by the beast's primal instincts is another thing. Bijuu are beings of pure potent chakra and their personalities are the very chakra itself. If you were trying to use a Bijuu's chakra without properly training with the beast to control your thoughts and emotions, you may find yourself losing your mind, your seal breaking and the Bijuu involuntarily escaping as you die. An example is if you were to be the Jinchuriki of Lust and you used her chakra as an inexperienced Jinchuuriki, you may find yourself erotically thralled with anything and everything around you and lose your mind. To master this stage of a Jinchuriki, you must train with your beast inside your mind. During your training, you are completely vulnerable physically as your thoughts are stuck inside your mind. (So choose where you do training carefully!) A full thread of twenty posts is needed. This cannot be doubled or shortened, though you may take others in the thread with you: however, they may not enter your mind without specific techniques to do so- such as the sharingan, etc. It is possible to use the Bijuu's chakra as an inexperienced shinobi, but the chances of successfully regaining control over your body is a low probability. At the start of using the Bijuu's chakra, you will roll a 1-100 Dice. If you score anything lower than a 91+ then you failed and will die after falling to the Bijuu's sin. Bijuu Chakra cloak V2 may be unlocked for another thread with twenty posts of inner/outer training with V1) V2 grants an additional 10%(400) chakra stat totaling to 1,000. Stage #3 Stage 3 is the final stage of training and mastery between Bijuu and host. At this stage, the Bijuu is friendly enough or is content to continue working with you: that they are willing to test you personally to see if you are capable of borrowing their full might. Once Bijuu Chakra mode V2 has been mastered, the host will become eligible of using 50% of the Bijuu's chakra stat to battle the Bijuu at full might in their mind. A battle thread of twenty posts is required before this requirement is finished. Bijuu's static physical stats are 3,000 each & the Bijuu cannot use any of the host's abilities or jutsu. Sloth is the first Bijuu. To those he deems worthy, he will divulge is real name(Acedia) Interesting enough, Sloth's true name resembles at least two of the other Bijuu. Sloth is a six legged turtle with a long tail. The majority of his body is his shell, which consists of the bone fragments many of the other Bijuu only have pieces of. His shell is white, while his underbelly is black. Much like his shell, his legs and tail are also incased in bone. Sloth is a very passive Bijuu compared to others, but not due to his own want or wishes. He does not like to do anything. Being the epitome of laziness, he would rather spend his time sleeping than doing any other activity. When in battle, he will often try to finish the fight as quickly as possible. However, getting him to fight would be the toughest, as he would rather walk away from a battle and find someplace to rest. In regards to his relationship with humans, Sloth is very indifferent towards them. He will not be friendly towards them, but he does not have the energy to hate them. If you were to converse with him, he would doze off in mid-sentence. Once he is asleep, it will be hard to wake him back up. Sloth is the most relaxed of his Bijuu, and he has an innate ability most befitting his nature. Sloth's nature is Density Release. Most specifically, his shell. With the desire to do as little effort as possible, his innate ability allows him to change the weight of his shell and its buoyancy. This allows him to essentially fly, although it is more akin to long leaps with near weightless volume. Then to attack, he simply increases his weight, even much farther than he initially weighs. This is both an attack and defense, due to how sturdy his shell is. Sloth becomes an immovable object, or a crushing mountain from above. Though he can change the density of himself and objects he touches, this does not grant him extreme densities like black holes. This innate ability is passed on to his host, granting them the Density Release. Envy is the second Bijuu. To those he deems worthy, he will divulge is real name(Invidia). Envy is a light brown lizard: the majority of his body is composed of the bone fragments seen on the other eight Bijuu. Though the red markings are faint on the majority of the Bijuu: with Envy's body color, his markings are quite clear. Envy possesses two large horns atop his head, has six legs- each leg has clawed feet with five claws and a long tail. Like his markings, his eyes too are red. His claws and tail are used for all terrains, allowing Envy to position himself comfortably almost anywhere to activate his innate ability. Envy's innate ability is similar to that of a chameleon, allowing him to change the color of his scales to blend into the environment. That is not the extent of his ability however. As he sheds scales, he can connect to those scales with chakra to "change" the appearance of the environment, or even use the scales to make visual copies of himself without any tangible form. This innate ability is passed onto his host, allowing them to use Refraction Release. Greed is the third Bijuu. To those he deems worthy, he will divulge his real name(Avaritia). 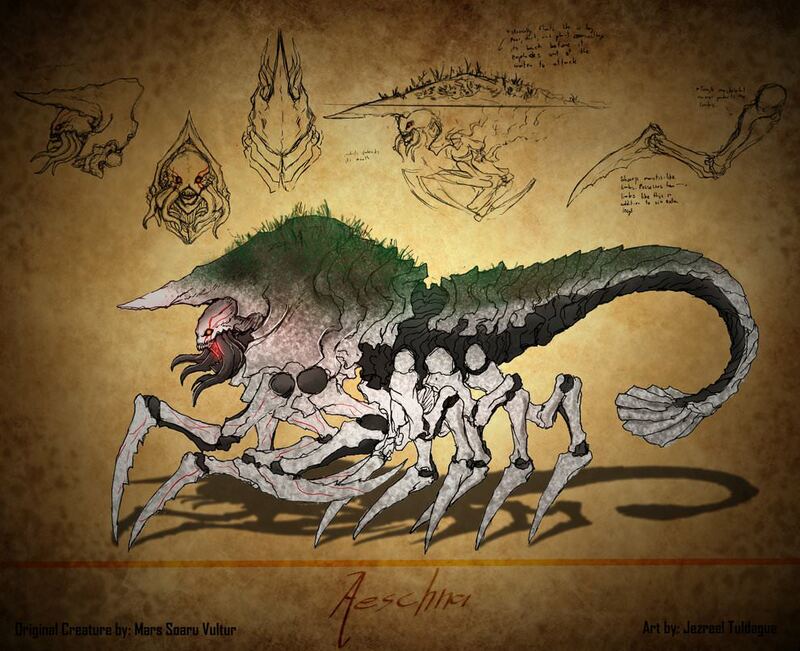 Greed is a giant scorpion, encased in an exoskeleton of bone fragments, similar to that of Sloth's. His body is more lengthy than Sloth's however and the exoskeleton is made in such a way that it allows for agile movements. The exoskeleton is white, white his underbelly and joints are the customary obsidian black similar to other Bijuu such as Wrath. 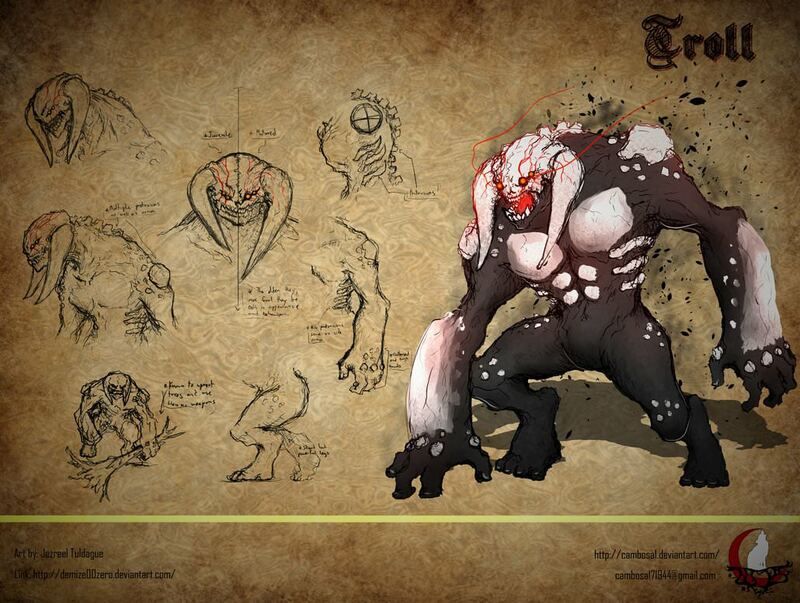 Greed has eight legs with spear-like ends instead of feet. Similar to scorpions, Greed possesses a long tail. At the end of the tail however, is not alike other scorpions. At the tip, his stinger is encased in bone with one large hole in the center of the bone for his stinger, but also several small holes dotted all around the larger one. This is where his innate release comes from. Aside from his tail, the only other exposed part of his body is his head. The top half of his head is covered him bone, the lower half is boneless. 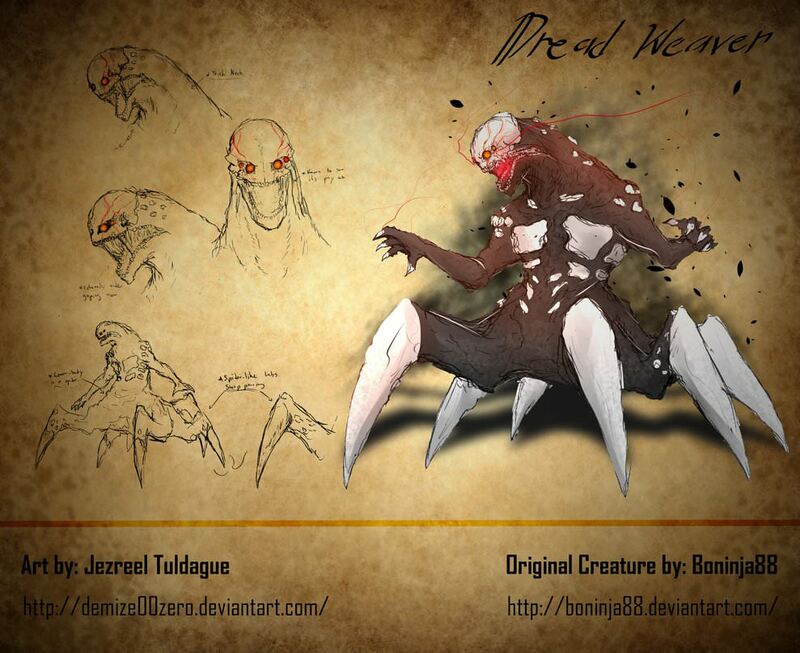 Instead of mandibles, Greed possesses several short black tentacles similar to a beard. 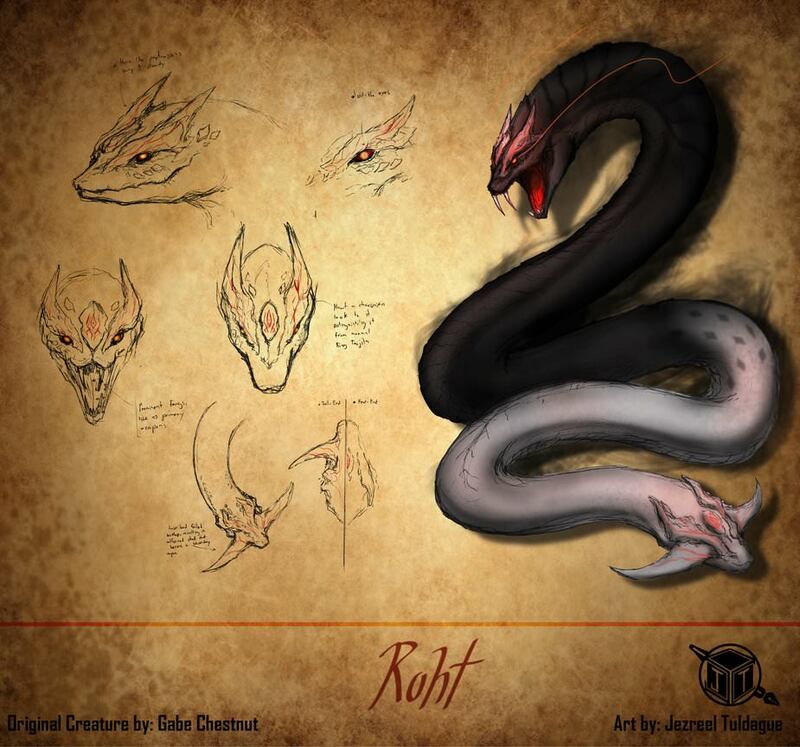 He possesses no bottom jaw and these tentacles interlock around his exposed mouth to form "lips" When he uses his tentacles, his mouth is exposed as a bright red hole lined with countless teeth. In terms of size, Greed is considered small compared to the others. His size alike the rest, comparable to humans is easily fifteen times the height of humans and fifteen times that of human height. 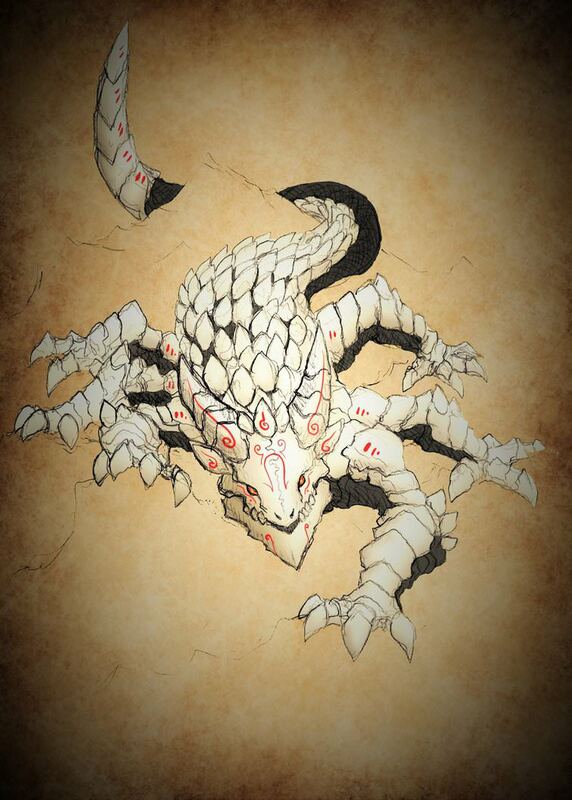 Unlike regular scorpions who use venom, Greed uses a highly concentrated acid. The acid is formed inside of his stomach and ejected through the countless small holes in his tail, around his stinger. His own body is immune to this acid, but most other things that come into contact with the acid, quickly melt away. Most of the time, Greed prefers to settle business with the acid, but if you upset him, he will resort to using his stinger which is coated in acid. This innate ability is passed onto his host, granting them the Acid Release. They become immune to acids and secrete this acid themselves. Lust is the fourth Bijuu. To those she deems worthy, she will reveal her real name(Luxuria). Lust is a half humanoid and half spider creature. The upper half of her is a humanoid torso, the majority of it being the exposed blackened bone. There are small bone fragments dotting her body all the way up to her neck, but only a few spots such as her ribs and chest are covered with bone exoskeleton. Her neck is a bit longer than that of a humans and her head is similar to Greed's. The upper half of her head is encased in bone plating, while the lower half of her face and jaw has no bone plating. Her mouth itself is slitted halfway down her neck, allowing her to open her mouth and swallow things that normally cannot be eaten. In terms of size, Lust is medium of the Bijuu. Her size alike the rest, is comparable to humans is easily twenty times human height from head to legs and fifteen times human's height in length. Unlike in canon, the Bijuu of Shinobi Conquest only have one tail and their strength is roughly equivalent. Unlike most of the Bijuu, Lust is actually quite intelligent. Her favorite pastime is to deceive humans with her words and watch them dance without using her aroma genjutsu on them. Her innate ability is to secrete a pink gas from the exposed blackened parts of her body. This pink gas when inhaled, casts illusions on the mind. These illusions are superior to normal Genjutsu, as Lust's voice weaves the complexities of the illusions. She is essentially the narrator and her prey dances tot he stories she spins. Bliss is the fifth Bijuu. To those she deems worthy, she will reveal her real name(Accidia), which strangely enough is similar to a couple of the other Bijuu. Bliss is a white arachnid. The majority of her body is covered in a bone exoskeleton. The only blackened exposed parts of her body is the underbelly of her abdomen and the joints of her eight legs. Six of her legs are much larger, supporting her weight and movement, the front two legs are slightly smaller and she uses for more as hands, attacking things or spinning webs with them. All eight of her legs are spear-like appendages. In terms of size, Bliss is medium of the Bijuu. Her size alike the rest, is comparable to humans is easily twenty times human height from head to abdomen and fifteen times human's height in length. Unlike in canon, the Bijuu of Shinobi Conquest only have one tail and their strength is roughly equivalent. Bliss is one of the more primal Bijuu. She does not use cunning or hatred, instead she is very pragmatic. To her, it is eat or be eaten. 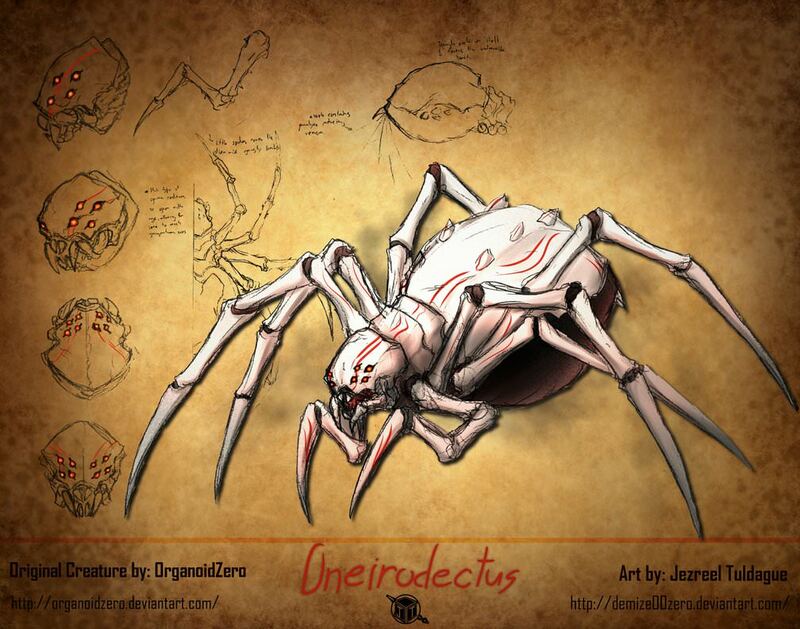 Very much so fitting for an arachnid. Her innate ability is quite befitting an arachnid even, for she possesses the skill to spin elaborate webs. These webs are as durable as steel, but as flexible as sewing thread. These threads are secreted from her abdomen and weaved into myriads of shapes and sizes by her front small two arms. This ability is passed on to her host, granting them the ability to spew webs from their mouth. Pride is the sixth Bijuu. To those he deems worthy, he will reveal his real name(Superbia). Pride is a primape, more akin to a gorilla but lithe like a lemur. The majority of his body is exposed blackness, but he possesses a fair aount of bone fragments and bone armor on him. He has bone plating along his ribs, chest. abs and forarms, not including his head. Similar to Greed, the upper half of his head is covered in bone plating with two large horns jutting downward to his bottom jaw. His lower mouth isn't covered him bones and extends forward slightly farther than his upper jaw. His arms are massive, and larger than necessary. In comparison to his legs, his arms are bigger and stronger. His arms extend all the way to the ground, parallel to his legs. In terms of size, Pride is medium of the Bijuu. His size alike the rest, is comparable to humans is easily twenty times human height from head to foot. Unlike in canon, the Bijuu of Shinobi Conquest only have one tail and their strength is roughly equivalent. Pride's innate ability is peculiar compared to the others, where most rely on some force of nature: Pride relies on ash. He forms ash in the palms of his hands or spewe from his mouth. The composition of the ash varies, although he is capable of compacting the act into tangible forms. While most of his ash is area-wide burning ashen fog, his hardened ash takes shapes of simple objects such as weapons. Additionally he can turn his whole body to ash, but that is his most susceptible form, due to the chance of wind blowing him away. When formed into weapons, they possess obsidian colors. Pride is the only Bijuu known to fight with any form of weapon other than their own claws or fangs. Gluttony is the seventh Bijuu. To those they dem worthy, they will divulge their real name(Gula: Though separately, the heads call themselves Nimis & Ardenter. Nimis being the white half & Ardenter being the black half). Gluttony is a multiple colored snake, predominately white and black. The two halves of Gluttony represent the dual-personality the serpent possesses. The heads constantly bicker in their own way and the only thing they can seem to agree on, is eating. Although they do disagree sometimes on "how" things should be eaten. 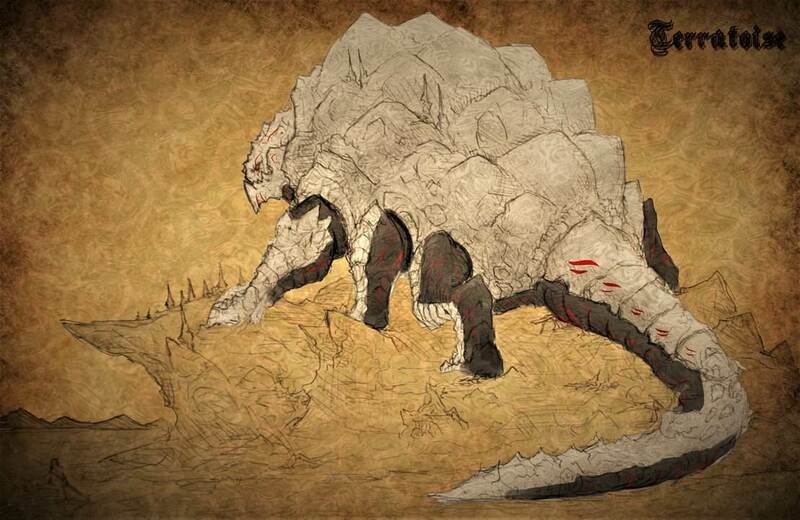 Like its counterparts, Gluttony possesses bone fragments on its body, though a lot less than the rest of the Bijuu. On Gluttony, the bone fragments can only be found on its two heads. The black head has two ridges of bone just above its eyes. The white head possesses what appear to be blades on both sides of his face, located roughly along its jawline. One additional thing is that both heads possess a jewel on their forehead, though the jewels take separate appearances for each serpent half. The two colored halves are evenly matched and their color changes right in the middle. While the black half is completely obsidian, the white half possesses several black diamond shapes on its back near where it connects to its other half. In terms of size, Gluttony is medium to the others. Its size like the rest, comparable to humans is easily thirty times the length of human height from head to tail, and ten times the height of humans. Unlike in canon, the Bijuu of Shinobi Conquest only have one tail and their strength is roughly equivalent. Gluttony is one of the most finicky Bijuu. Not just because its two heads argue, but also in the choice of food- funny enough, coming from the Bijuu that represents the sin of gluttony. The preferred method of eating varies between the two heads, but the serpent as a whole possesses the innate ability of Poison Release. 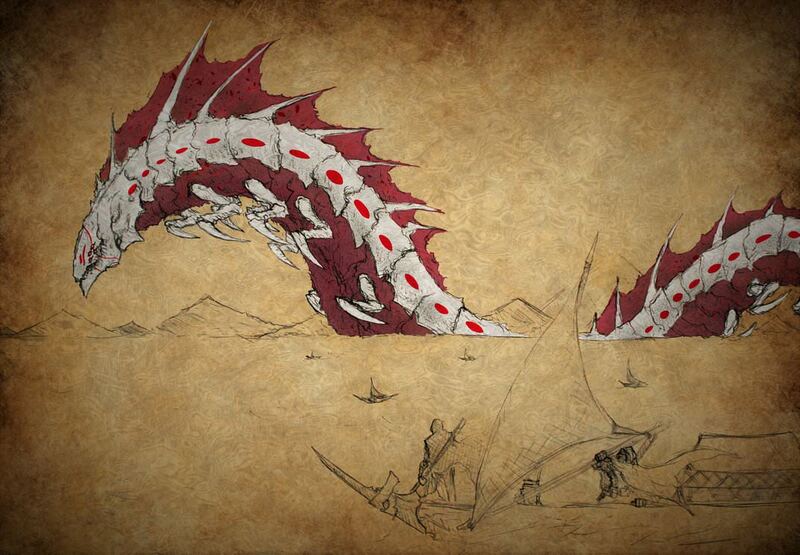 The white head spits and secretes fast lethal poisons, while the black head spits and secretes a slow lethal poison. This innate ability will be passed onto his host, granting them the ability of Poison Release and innately being immune to all forms of poison. Bonding: Each Bijuu has its own nature, akin to the carnal sins of man. Gluttony is relatively easy to get along with: however, they are not the easiest to master. Due to their gluttonous nature, they are easily sated if the host gives them half their chakra every first post of 20 threads(Threads must be a minimum of 10 posts long each) It is only after being fed regularly like this that Gluttony will begin to trust their host. As there are two heads, each head has their own desires- this makes Gluttony quite the deadly Bijuu if wronged by the host. Despair is the eighth Bijuu. To those it deems worthy, it will divulge its real name(Accidia), similar to one of the other Bijuu. Despair is a white worm, possessing a hardened bone exoskeleton. Like his counterparts, he also possesses bone fragments throughout his body: though the majority of his body is bone anyways. These bone fragments take the shape of dorsal fins atop his spine. In between these fins is a leathery membrane similar to hat of Wrath's wings. This allows Despair momentary moments of gliding through the air to carry his body large distances between movements in the earth. His underbelly is a dark red, just as is the membrane of his dorsal fins. His underbelly isn't as armored as the rest of his body, for he needs to be able to use his powerful muscles to writhe in the ground for travel. His countless bone appendages beneath his belly assist him in digging through even the hardest of dirt and rock for swift travel through the ground. In terms of size, Despair is the largest of the Bijuu. His size alike the rest, is comparable to humans is easily forty times human height in length from head to tail and twenty times humans in height. Unlike in canon, the Bijuu of Shinobi Conquest only have one tail and their strength is roughly equivalent. Despair is one of the most cunning of Bijuu. Though he has the ability most likely to afford him the ability to communicate, Despair hardly speaks. Despair possesses the ability of emotion and sound manipulation. He uses vibrations as a sonar beneath the earth, pinpointing prey. He is also capable of sensing the emotions of those around him, this is his survival instinct to know when something is hostile or even unwitting to his impending attacks. His size, mixed with the bewildering speed of his movements and his ability to read everything around him, makes him a deadly adversary if you cannot stay off the ground. This innate ability will be passed onto his host, granting them the ability of emotion sensing and sound release. Bonding: Unlike many of the Bijuu which are proficient in language, Despair prefers to communicate in sounds. These wavelengths transcend language barriers and are recognized by the brain and transformed into thought by the Bijuu. Due to this and Despair's innate ability to sense emotions, it is nearly impossible to lie or trick the Bijuu. He is capable of normal language, but he doesn't trust anyone enough to not rely on his emotion sensing. Speaking truthfully and plainly with him is the quickest method to earning his trust as a host. (10 threads with a minimum of with 10 posts each of interacting his his rough communication. Wrath is the ninth of the Bijuu. To those he deems worthy, he will divulge his real name(Ira). 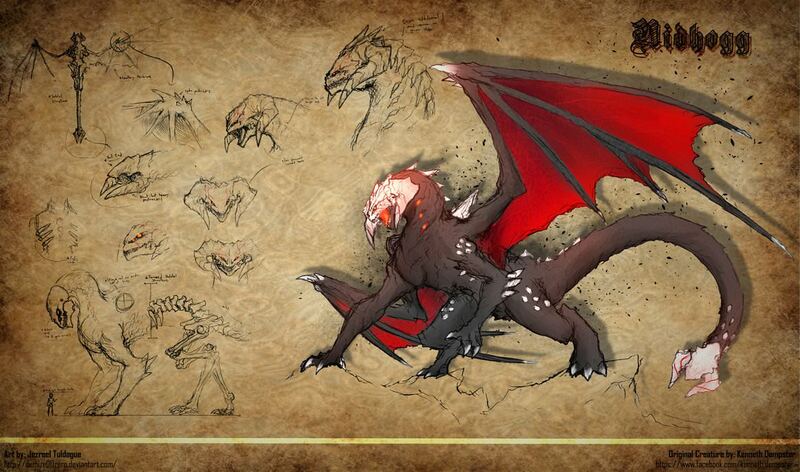 He is a black dragon, possessing obsidian scales that are easily harder than the hardest known metal to man. Like his counterparts, he also possesses white bone fragments embedded throughout his body: predominately located on his head and tail. His face is encased in a full skull mask with two slightly curved horns off to the left and right of his face. In a similar manner, the tip of his tail is encased in bone as well with two prongs protruding from the left and right into the form of a mace. Unlike most all the other known Bijuu, Wrath is the only one with wings and capable of flight. His wings are three colors, black, red and white. The majority of his wings are black scales, though the inside membrane of his wings are a red leathery texture. Lastly, the tips of his wings have the bone fragments infamously known to all Bijuu. In terms of size, Wrath is nearly the largest in stature. His size alike the rest, comparable to humans is easily thirty times the height of humans. His wings span is equal to the full length of his body from head to tail. His tail itself is over a third the length of his body and can easily be used as a club. Unlike in canon, the Bijuu of Shinobi Conquest only have one tail and their strength is roughly equivalent. Though Wrath is considered the most vicious of the Bijuu, it is not his attitude which grants him the unspoken title of "strongest" It is his innate ability, Dark Release. Dark Release allows Wrath to "eat" nearly any chakra-based attack and either convert it into chakra to sustain itself, or spit it back out with increased potency. This catastrophic ability, combined with his extremely hard scale and terrible attitude, makes Wrath one of the most deadly Bijuu. This innate ability will be passed on to his host, granting them the ability to use Dark Release.